Foods For Long Life: My New eBook, Health Begins In The Kitchen: Delicious And Easy Vegan Recipes And Seasonal Food Plan - Now Available On iTunes and Amazon! My New eBook, Health Begins In The Kitchen: Delicious And Easy Vegan Recipes And Seasonal Food Plan - Now Available On iTunes and Amazon! Change your diet, change your life! If you have been following my blog over the years, you know that I believe strongly that your health is greatly influenced by your diet and lifestyle. This is great news because you can control these things whereas you can't control your genes. If you have been enjoying my recipes and nutritional articles, you'll love this book. I have perfected some blog favorites along with many recipes you've never seen before. So if you want to take control of your health and your life, download my eBook today! Don't have an iPad or Kindle?? You can buy the Kindle version on Amazon and download Free Kindle Reading Apps to read it on Smartphones (Android, Windows Phone or BlackBerry), your Computer (Mac, Windows 8, and Windows 7, XP & Vista) or on your Tablets (iPad, Android Tablet and Windows 8). Many people have shelves full of “healthy” cookbooks created by chefs with little or no nutritional expertise or home-cooking experience. The recipes are either too fussy or impractical and leave out a key ingredient—taste! Health Begins in the Kitchen combines the know-how of a foodie and avid cook with a PhD in nutrition to create a practical and seasonal approach to good eating. 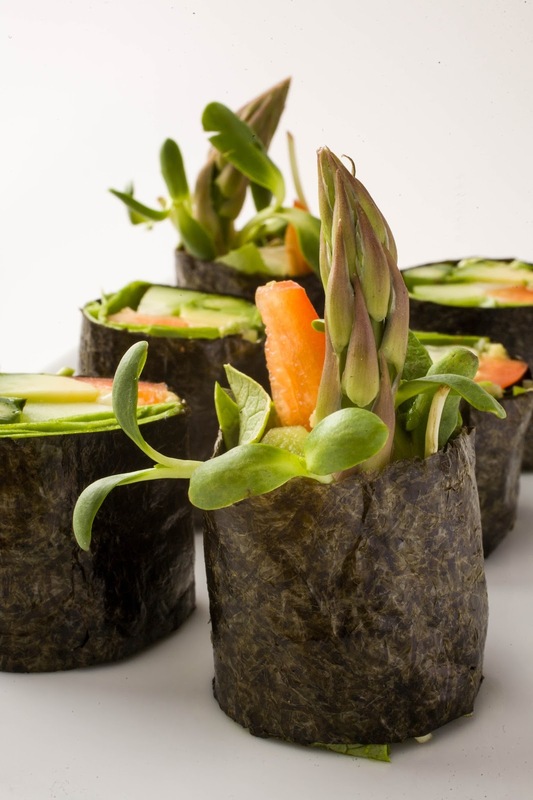 Healthy has never been so easy or so delicious! In this cookbook, I will show you how to have a guilt-free, joyful and healthy relationship with food. Health Begins in the Kitchen demonstrates the possibility of avoiding disease and achieving remarkable health by the simple process of eating delicious food. There are significant health benefits when you eat less meat and dairy while increasing your consumption of plant-rich meals. My book will show you how to easily incorporated more fruits, vegetables, whole grains, nuts and seeds into your family's diet. Switching to a completely a plant-based diet requires some knowledge. I discuss the important benefits and shortcomings of different types of vegetarian diets (from raw vegan to semi-vegetarian), dispelling dietary myths along the way. 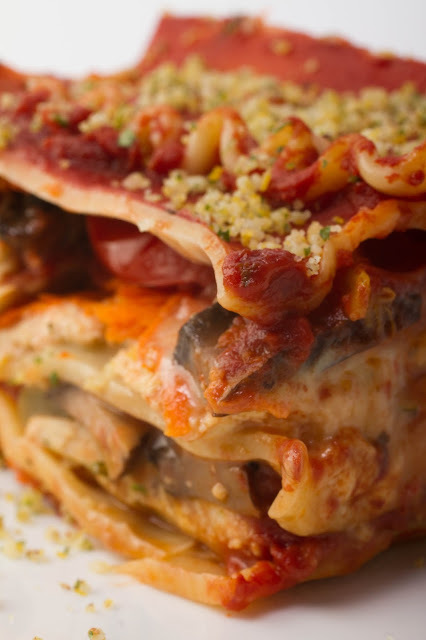 Besides the wide variety of healthy recipe ideas (from learning how to build the ultimate vegetarian lasagna to preparing guilt-free desserts), lots of tips are given on how to remake your own family favorites. For example: how to cook with less oil and sugar, how to replace eggs in cakes and other baked items, how to make fettuccine Alfredo or mac and “cheese” without dairy, and more. 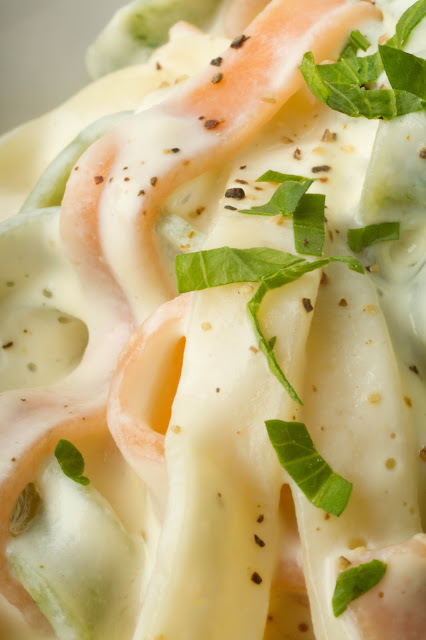 This delicious fettuccine Alfredo is dairy free! Most people believe that their health and longevity depend on their genes and feel powerless to change their “destiny.” But actually, the diseases they will suffer from or the health they will enjoy depends more on the family recipes, rather than the genes that have been passed down to them from past generations. 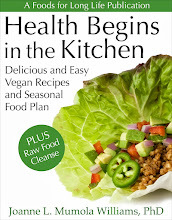 Health Begins in the Kitchen provides 160 delicious, vegan recipes (most are gluten free), 145 beautiful photographs, and an abundance of critical nutritional information that will inspire you to get into your kitchen and take control of your health. 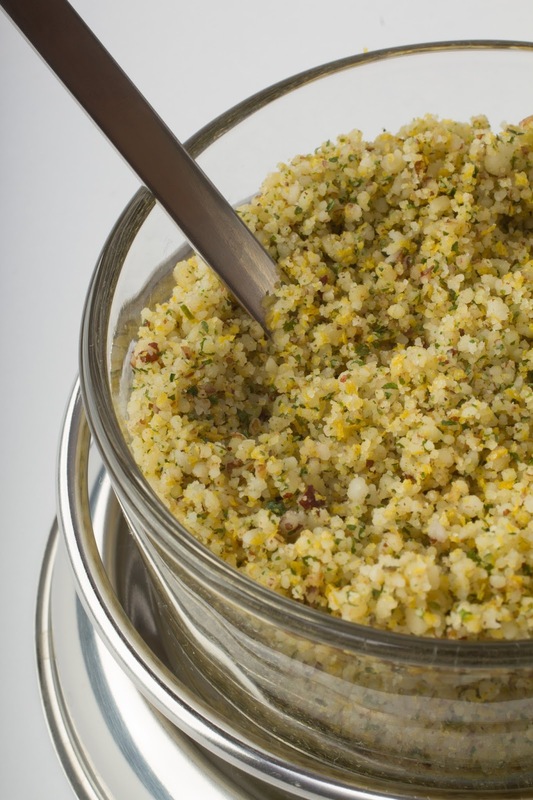 This "Parmesan" Topping is downright addictive! 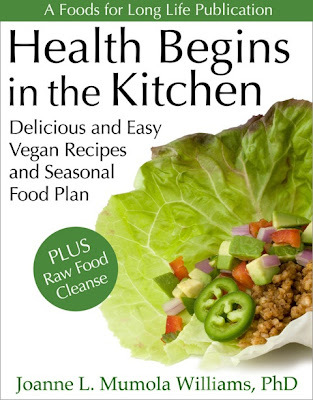 This book introduces the Seasonally Raw Food Plan (with sample menus), emphasizing the importance of including raw, plant-rich foods in the diet. 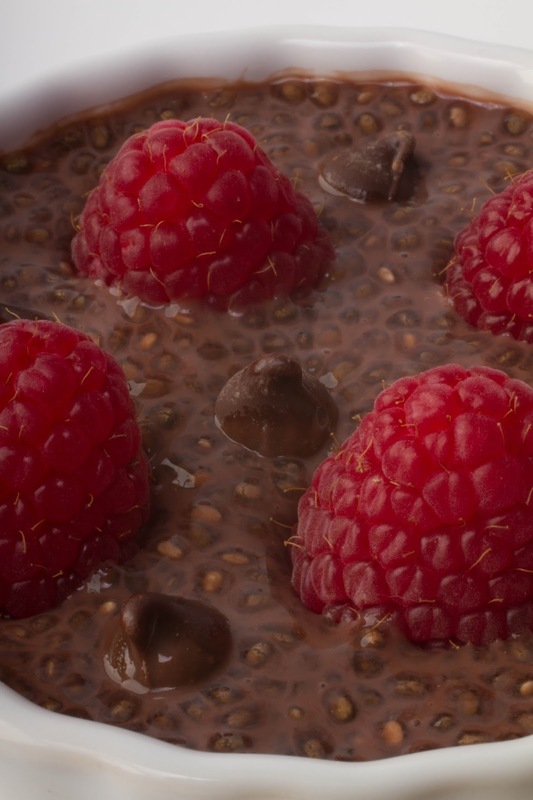 Unlike raw food diets that promote a high consumption of uncooked food all year round, I encourage a balance of cooked and raw foods that changes with each season. Cleansing the body of accumulated toxins is also important for one’s health and well-being, and many people find it helpful to do this periodically. An unsupervised water or juice fast can be dangerous and very difficult to complete; a safer and easier way to cleanse the body is by simply eating a diet of raw food for a period of time. Health Begins in the Kitchen offers instructions and sample menus for a gentle Raw Food Cleanse that will never leave you hungry. 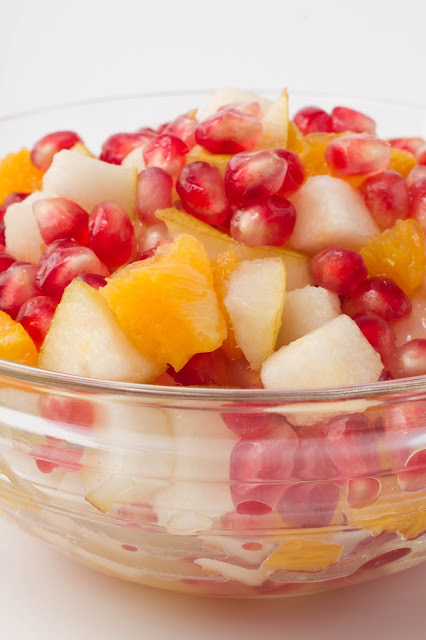 This pomegranate salad has only 3 ingredients! This book is not just for vegans or vegetarians. It’s for anyone struggling to obtain the number of daily recommended servings of fruits and vegetables needed for good health. Drawing from the book’s recipes, a variety of sample menus are provided from a casual burger night to Thanksgiving dinner. I also share tips for easy and enjoyable entertaining. I hope this book will become your favorite addition or a wonderful first introduction to a plant-rich recipe collection! But it Now on iTunes ! IT’S NOT JUST A COOKBOOK! 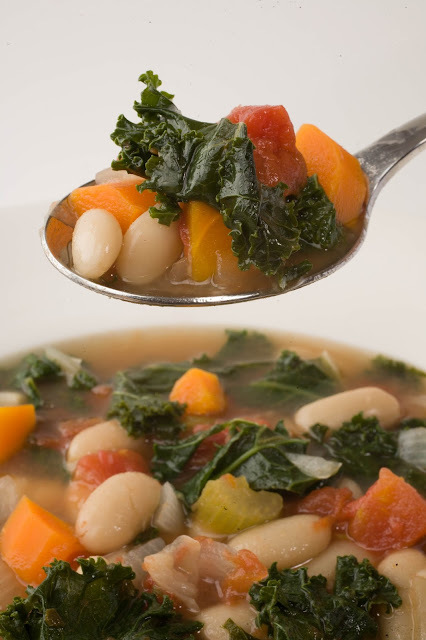 ways to improve your diet with healthy and delicious, plant-rich, vegan recipes that will delight any palate whether you are a vegan, vegetarian, or an occasional meat-eater. 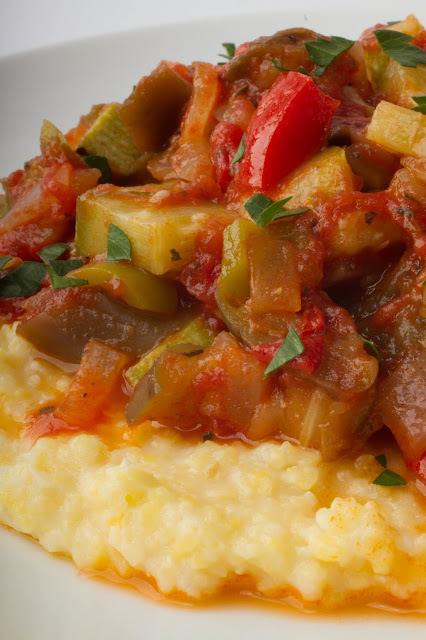 Enjoy a meat-free meal like Ratatouille on Creamy Polenta! 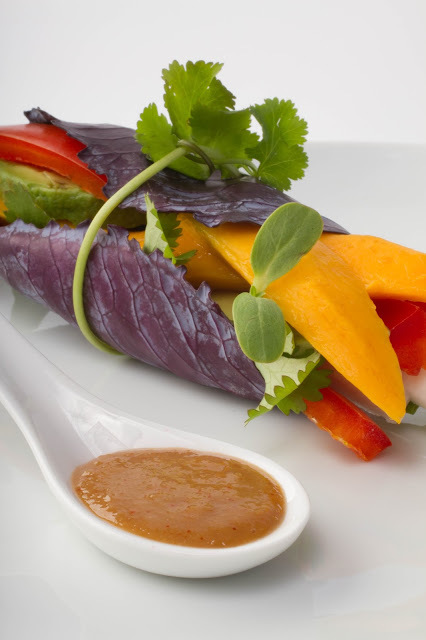 a Seasonally Raw Food Plan that optimally balances raw and cooked foods in your diet. ways to make healthy jam and jelly using agave, honey, concentrated fruit juice, stevia, small amounts of sugar or no sugar at all. ideas and menus for easy entertaining. 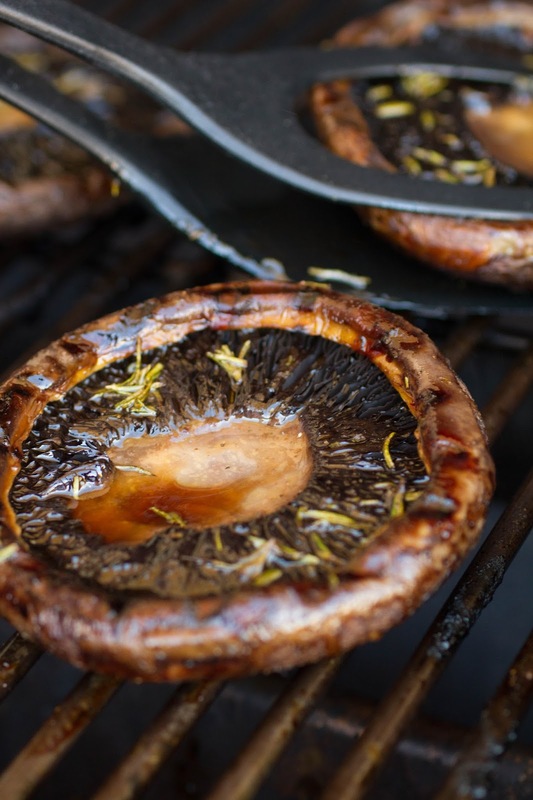 Grilled Portobellos - Perfect for Burger Night! 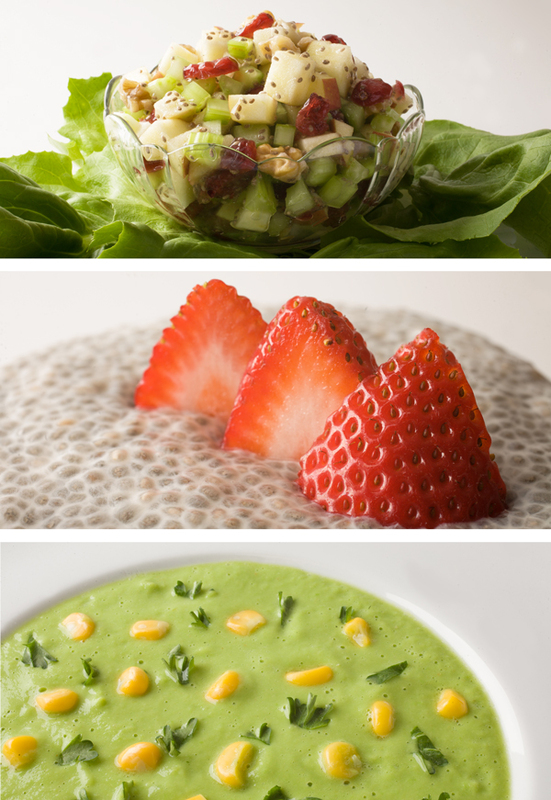 Raw Food Cleanse menus using recipes from the book. 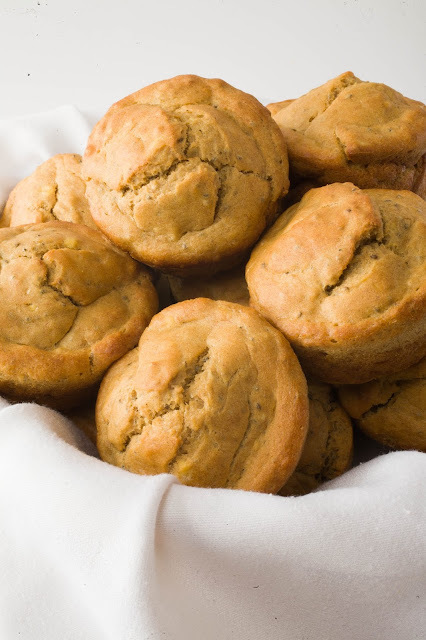 Learn to bake with less sugar and oil and without dairy. and tons of truthful nutritional information and answers to important questions you may have on how to get adequate protein, vitamins, minerals and omega-3, whether you should avoid gluten, or buy everything organic and much more. Buy it on iTunes if you have an iPad, iPhone, or iPod Touch. Or buy the Kindle version on Amazon and just download Free Kindle Reading Apps to read it on Smartphones (Android, Windows Phone or BlackBerry), your Computer (Mac, Windows 8, and Windows 7, XP & Vista) or on your Tablets (iPad, Android Tablet and Windows 8). But it Now on iTunes! But it Now on Amazon! New eBook Helps People Overcome and Prevent Disease Through Life-Changing Recipes. Congrats on the book release! LOVELY! Awesome photos, too! Thanks Jennifer. Glad you liked the photos - my wonderful photographer, Cody Williams, shot 11,000 pictures over 4 years to get the ones for this book. I created the recipes, cooked and styled all the dishes. And then we ate it all up!! If you have a kindle or a kindle ap, you will be able to buy it on amazon in a few weeks. I'll let everyone know when it's available soon! I just bought it! Looking forward to trying these fabulous recipes! I have had the pleasure of making many of your creations over the years. All delicious! Thank you for all your wisdom, passion, and talent. You help make the world a better place! I just bought the kindle version! I'm excited to start looking at your recipes and Cody's photos! Thanks so much for your support. I'm glad you are enjoying it. The book is available in 51 countries on iTunes, including the UK. Amazon also sells in the UK. Which company did you try to buy it from and what happened when you tried to search the title? Let me know your experience and I'll look into it. Joanne I've just checked the UK Amazon site and it IS now available here. When I left for the US/Canada 3.5 weeks ago it simply said that it 'wasn't available in your country'. So maybe I was just a bit too quick and Amazon UK weren't quite ready then. So no excuse for we Brits not to be healthy too! So glad it's now available there. Tell all your British friends about the book! Is it possible to get this ebook as a PDF for my laptop? My Kindle is not a color one so I want to have it on my laptop. Thanks for your interest in my eBook. You can download Free Kindle Reading Apps for Mac, Windows 8, Windows 7, XP & Vista so that you can read it on your computer. Here's the link http://www.amazon.com/gp/feature.html?ie=UTF8&docId=1000493771.